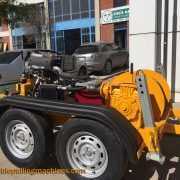 You are here: Home / Cable Pulling Winches Blog / Cable Drum Trailers / Cable Drum Trailer Manufacturer! 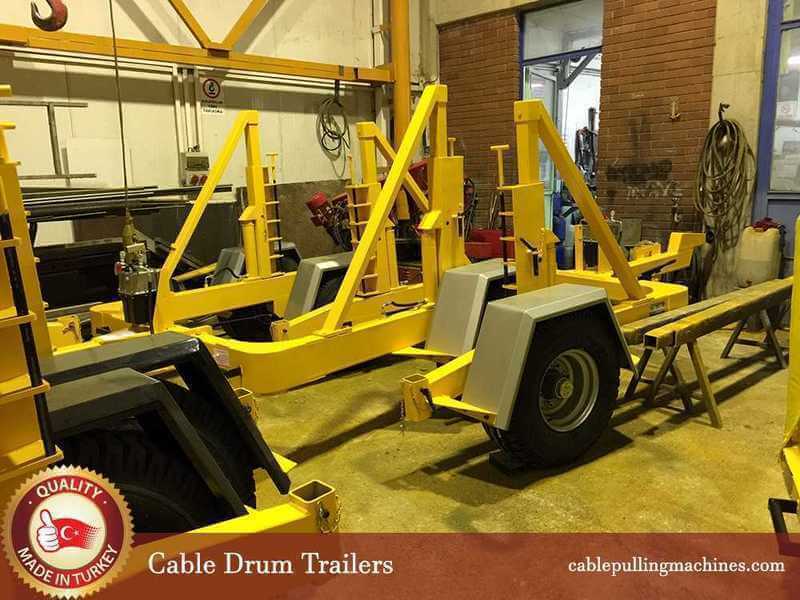 Cable drums are a very essential part of a cable Pulling unit as it helps to make units that can accommodate cable drums that are heavy and non movable by one self. They help in carrying some of the best quality and hard copper cables that are hard to move from one part to another. 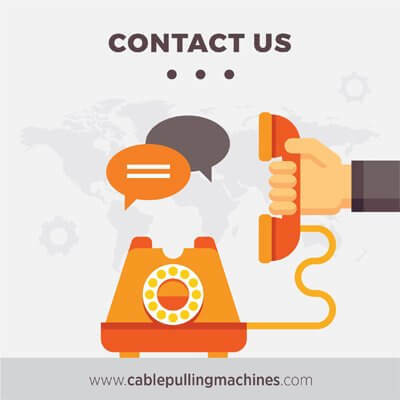 Cable pulling machines, are the most premium quality equipments that are not only reliable and efficient for the purpose and also provide you with the very best cost effective method of laying all your cables for various years to come. They are durable, long lasting as well as safe to use as well. Some of the best cable pulling winches are designed as per your requirements and customized accordingly as per your requirements. They are required for various projects in off site as well as onsite projects. 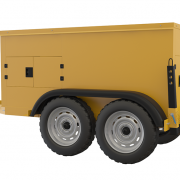 power Unit: Diesel Engine rated at 13Kw at 3600rpm, Main Drive System: Single capstan, Rewind Drum Drive: hydraulic driven for rope tension, Cable Pay Out: Free Spooling, Pull Load Indicator: Dial gauge for pressure/tonnes pull.Oil Cooler: Fitted with thermostatic fan. Rewind Drum: 400mtrs x 10mm dia rope capacity (max). Rope Layering: Free moving layering arm (mounted under rewind drum). We, as thecable drum trailer manufacturer, make sure that the trailer can carry various sizes of drums with cable wire. Our company comprises of a vast number of hydraulic as well as electric cable machines that help in smooth work flow and performance as well. 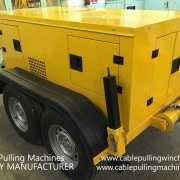 All our equipments are made with the latest updated technology and we as theCable Drum Trailer Manufacturers definitely focuses on the best materials.You can shop for some of the best Cable drum trailers from our website.Our products are affordable, reliable, safe and good quality as well.Visit us if you are looking for good quality cable pulling equipments. 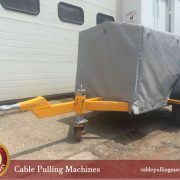 https://cablepullingmachines.com/wp-content/uploads/2016/10/Cable-Drum-Trailers-Manufacturer.jpg 750 1000 erkan1095 https://cablepullingmachines.com/wp-content/uploads/2017/03/cable-pulling-machines-logo-1.jpg erkan10952016-10-03 12:38:382016-10-03 12:40:02Cable Drum Trailer Manufacturer!